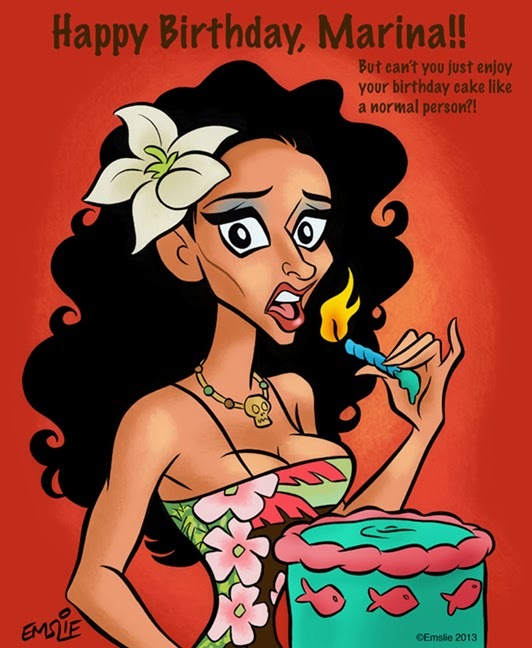 Happy Birthday to my favourite "Fire-Eating Mermaid", the lovely MeduSirena Marina, who performs weekly at The Wreck Bar in Ft. Lauderdale, Florida. I have written about having recently met this lady here in this previous post. Marina is a favourite among all of we fans of mid-20th Century kitsch and especially Tiki Culture! Here she is in all of her aquatic splendour!